Can't wait to get a nice light fixture in my bedroom. 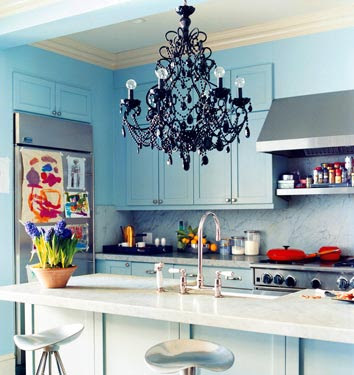 I am completely enamored with chandeliers in any room- all rooms. I will be replacing our dining room one eventually but really want a cute girly one for the laundry room. Just to make it more fun! All of these photos are remarkably gorgeous! Love the iron rimmed windows and that office makes me want to go home and redecorate mine! Nice picks! SOOOO pretty! If I didn't live in an apartment, I'd totally go all out and buy the prettiest one I could afford! Beautiful!!!! I love this post! I love chandeliers too! wow! these are all fantastic!! I am all about changing out boring light fixtures! Great post! those white kitchen chairs are faboo! i just tagged you for an award. Beautiful! Especially the metallic one. LOVE! I adore your post! 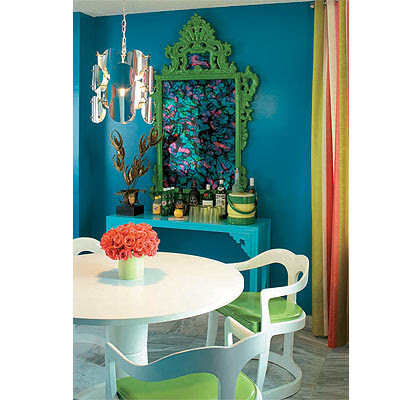 This proves that chandeliers do not have to be the classic intricate beading only found in formal/semiformal rooms. 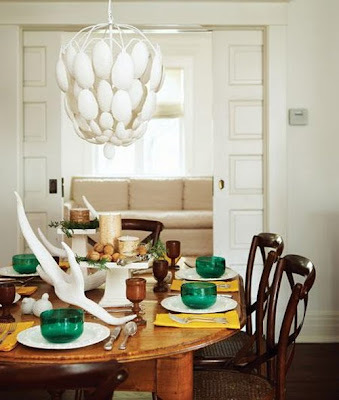 Love this post, I so want to put a chandelier in my little place but I think it just might be too, well little!! But I am thinking of putting a smaller black one in the toilet!